Enjoy reading and share 2 famous quotes about Karrin Murphy with everyone. “Karrin smiled faintly and shook her head. "He always said you knew ghosts. You're sure it was really him?" Mort eyed her. "Me and everyone else, yeah." Karrin scowled and stared into the middle distance. Mort frowned and then his expression softened. "You didn't want it to be his ghost. Did you?" Murphy shook her head slowly, but said nothing. "You needed everyone to be wrong about it. Because if it really was his ghost," Mort said, "it means that he really is dead." 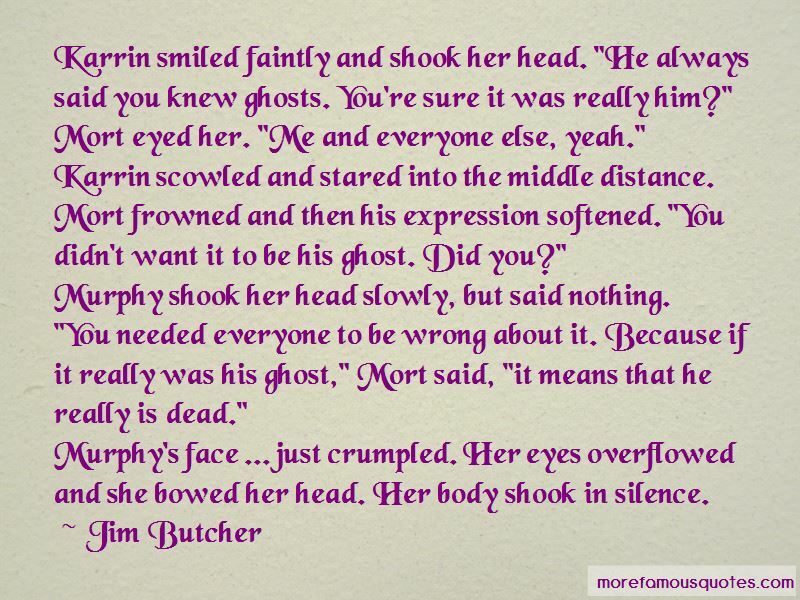 Want to see more pictures of Karrin Murphy quotes? Click on image of Karrin Murphy quotes to view full size.